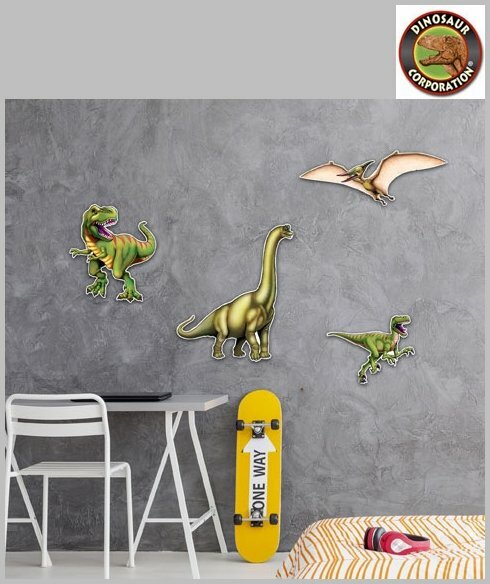 Our Dinosaur Cutouts are perfect for your dinosaur enthusiast. 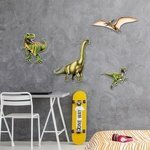 Hang these in your classroom as you teach about the Mesozoic and Jurassic period. 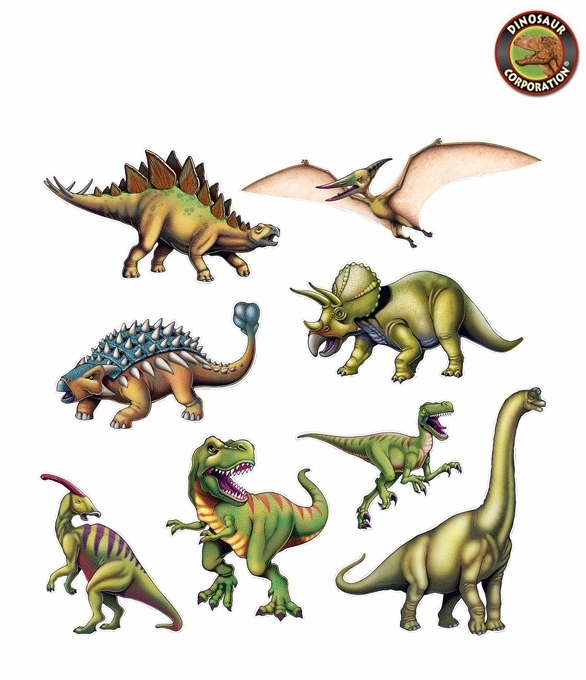 These are perfect to use as flash cards as you learn the names of 8 different dinosaurs including T-Rex, Triceratops, Pterodactyl, Stegosaurus, Ankylosaurus, Brachiosaurus, Velociraptor and Parasaurolophus. Each dinosaur is printed on both sides. * 8 assorted dinosaurs per pack.